Sinchi x Pllek present: Small Island Big Song. A unique cinematic experience coming from Asia & the Pacific islands. For the second time in the Netherlands, but this time with indigenous musicians and dancers performing live. Four musicians and two dancers from Madagascar, Taiwan, Solomon Islands and Easter Island will be performing live with visual projections at Pllek. 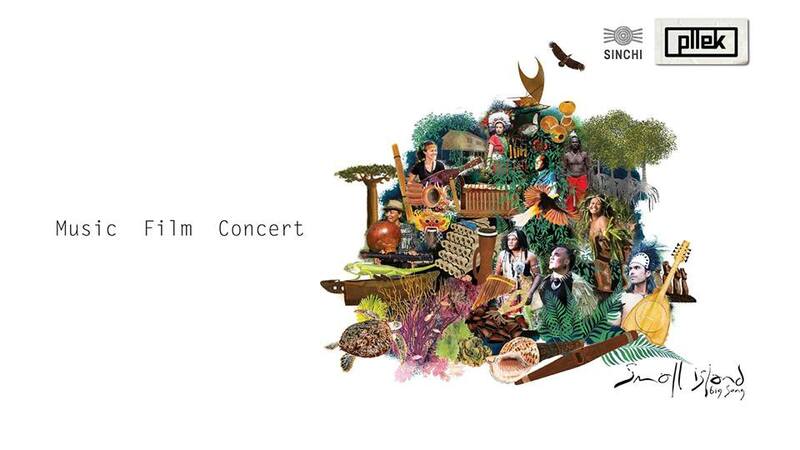 They present a visual & sonic journey created by Small Island, Big Song across 16 islands of Asia, Pacific and Indian Oceans. Featuring over 100 musicians, songs, stories and homelands. An Oceanic Songline. Sammy is a luthier, multi- instrumentalist and the former leader and artistic director of the globally success Madagascan band Tarika Sammy, probably the most notable contemporary Madagascan group to achieve international exposure in the 1990s. As an multi-instrument player, Sammy makes and plays (and is passionate about) every Madagascan instrument. Yoyo is regarded as one of today’s leading Rapa Nui musicians, a regular at festivals across the Pacific. Yoyo’s captivating voice and innovative world sound blends contemporary roots feels with his ancient Rapa Nui heritage. A cultural activist, Yoyo is proud to present his Rapa Nui ancestors as custodians of their homeland rather than destroyers, contrary to western beliefs. Former lead singer, choreographer and songwriter of the globally renowned Narasirato Pan Pipe Band, Charles is no stranger to festival main stages, including Glastonbury, Fuji Rock & Bluesfest. Master of Bamboo Instruments, such as the Awaa and Au-Rerepi (Pan pipes). His aresting voice form the depth of his culture will sing out across the festival, transporting people to other realms. true! Tim is an Australian Filmmaker and Music Producer specialising in cross cultural indigenous arts projects – filmed, recorded and produced in the field, independently. His work has led him to some of the most remote and unique cultures of the Asia/Pacific region producing several award winning projects. As a visual/sound designer, he has toured to numerous festivals & venues around Australia and the world. Tim has also been invited to speak at the United Nation headquarter, WOMEX, FestPac to share insights from his creative journeys. The past three years, producers Tim Cole and BaoBao Chen have been traveling to 16 islands, filming and recording with respected cultural voices from Rapa Nui/Easter Island to Madagascar, from Taiwan to New Zealand. They asked musicians to play on each other’s songs. The result is a powerful, organic, authentic experience with a contemporary message.